That’s right! 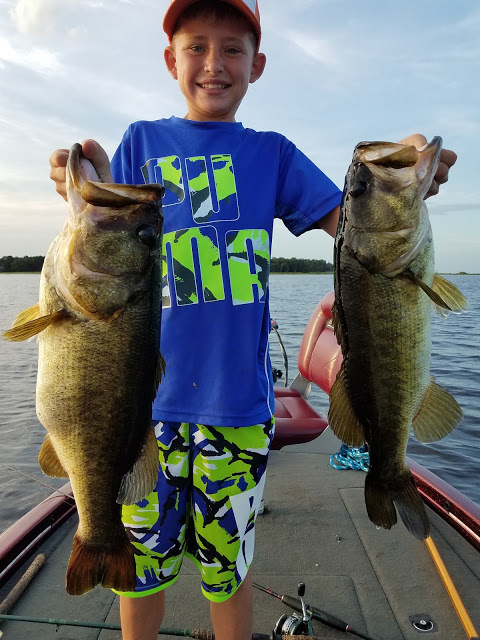 The fishing is on right now on Lake Toho, it’s the best bass fishing in Floirda and if you’re not fishing hydrilla or moving water than you’re just missing out! At this time of year the fishing become’s extremely consistent and the fish are even more predictable. With the heat of the summer the bass just kick out lunch and gorge themselves during breakfast and dinner which makes the fishing fast at those times! Our Lake Toho guides have been catching between 10-20 bass a day. With most bass weighing in at 3 pounds or more. With the vegetation steadily growing throughout the lake the water tends to become clearer which makes this also prime time to catch that fish of a lifetime you’re looking for with our Lake Toho guides. I know I am personally excited to see what I can pull out of Toho’s thick vegetation because last year I caught my two biggest fish during the months of August and September. Those both respectively came off of top-water baits too! So if you’re planning a trip to Orlando come get in on the action! ⟵Summer, The Best Time To Catch A Record Sized Bass?